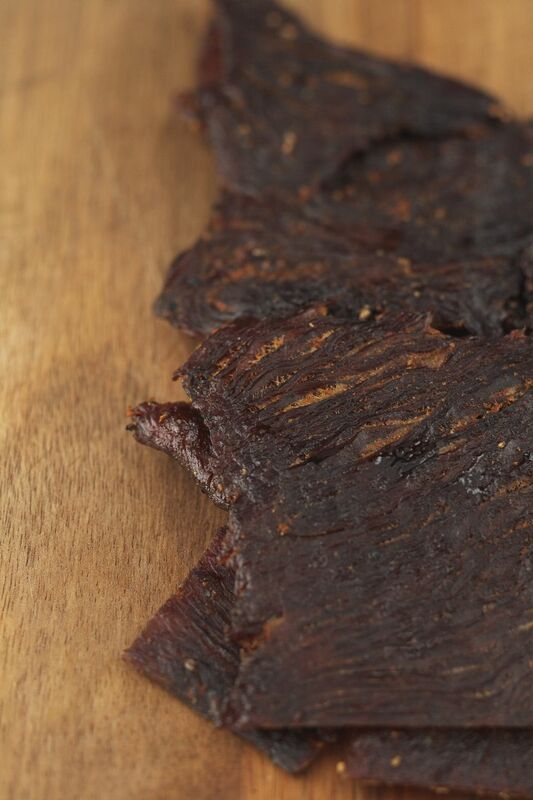 Cooked turkey is sliced thin and spiced with ginger and soy sauce to make this turkey jerky. If you do not have a dehydrator, you can place on racks inside baking sheets and use your oven's lowest temperature setting. Plan ahead for marination time. Recipe reprinted with permission from Dehydrated & Delicious by Ron Popeil and John May. Mix soy sauce, sugar, ginger, garlic, and liquid smoke together in a bowl. Dip turkey slices into a marinade. Place dipped meat in layers in a bowl or dish. Pour remaining marinade sauce over meat. Cover tightly and let marinate in the refrigerator for 6 to 12 hours. Rotate layers of meat occasionally. Place in dehydrator until dry. While meat is drying, blot excess oil with paper towel.